Okay, so I’m five days late with this…I was a student for a while there! I’m discombobulated! FORGIVE ME!! CHRISTMAS BELLES at the Ottawa Little Theatre. Because what’s Xmas without the OLT gang pitching in? Until the 14th. 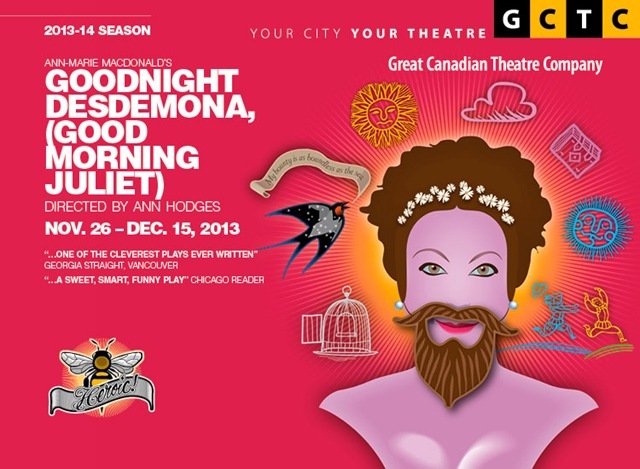 GOODNIGHT DESDEMONA, (GOOD MORNING JULIET) at the Great Canadian Theatre Company. Shakespeare’s tragic heroines fight back! Until the 15th. JESUS MY BOY from the St.Lawrence Shakespeare Festival. A show so great, they’ve left Prescott to bring it to YOU! Starring SLSF bigwig Ian Farthing. The 6th-8th at various locations in Chesterville and Ottawa, see website for details! THE SOUND OF MUSIC at the National Arts Centre. Singalong! What else ya need to know? Until December 3rd. ETHAN CLAYMORE at the Gladstone Theatre, from Same Day Theatre. It’s a Norm Foster Christmas at the Gladstone! Now until the 22nd. COLLAPSIBLE at the New Edinburgh Centre, from Mi Casa Theatre. Emily Pearlman stays behind the scenes for this most anticipated MiCasa offering, directing (with Mado Manseau) an all-star cast! From the 11th to 15th. REASONS TO BE PRETTY at Club SAW, from Red.Collective. 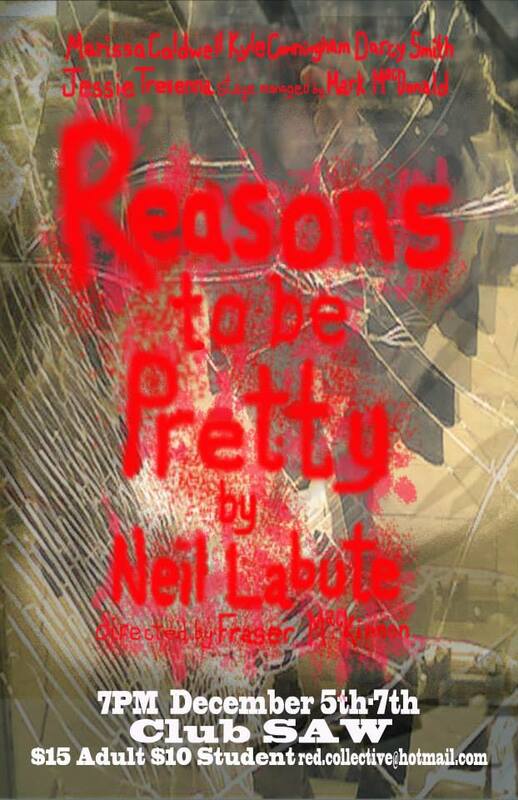 Postponed but not gone, the Reddies take on Neil Labute is finally here, from the 5th to 8th! 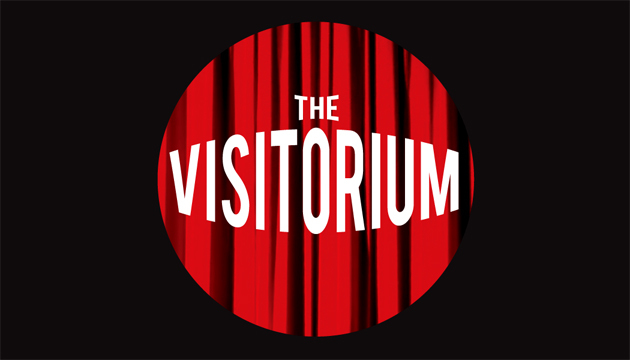 A VERY LITTLE CHRISTMAS PLAY at Shenkman Centre (Richcraft Theatre) from Vintage Stock. Directed by hardest working man in show business Nick Alain! From the 5th to 7th. THE FOUR OF US at Arts Court Theatre, from Toronto New Theatre. New play from Itamar Moses…discount for Fringers! See Here for details. 18th to 20th. 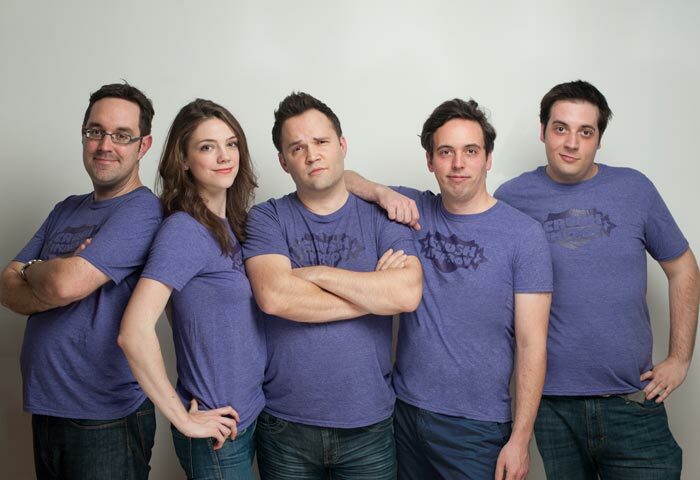 YO, VIKINGS at the Ron Maslin Playhouse, from Kanata Theatre. Musical fun for the kids (and grownups) from the 27th to 30th. YOU’RE A DEAD MAN CHARLIE BROWN at Scarlett’s Dinner Theatre, from Eddie May Mysteries. Blood and death, Peanuts style. Running weekends through the month! OSCAR at Theatre de L’Ile. Getting raves over in Gatineau, head over while you have the chance Until the 14th. TA DOULEUR at the NAC Studio. Dance and theatre together in an amazing looking show. The 4th to 7th. PORC-EPIC at Studio Leonard-Beaulne, from Theatre Belvedere. From the 5th to 14th. LE GRAND MECHANT LOUP at the NAC Studio. The 14th and 15th. CRUSH IMPROV 6th ANNIVERSARY SPECIAL at Academic Hall, from Crush Improv. A celebration of all things Crush, with special guests and Crush alumni galore. On the 6th! Make sure you go see the Red Collective show. I saw it last night and it features solid acting and direction, and a really interesting use of the Club SAW space. Oh, and it’s only $10 Students / $15 Adults for a play that lasts (including intermission) about three hours. Not to mention, I’m pretty sure it’s been five years since one of Neil Labute’s plays was produced in Ottawa. Seating is limited though, so I would get there early.